Mariola has been coming to The Nina for a short time, but already she has made a big difference. Born in 1968 in Poland, she had been living in Canada for only a couple of years. She lives with her sister on an acreage in Stony Plain. She loves to make mid-sized abstract paintings as well as work in the clay room. She also enjoys sewing. 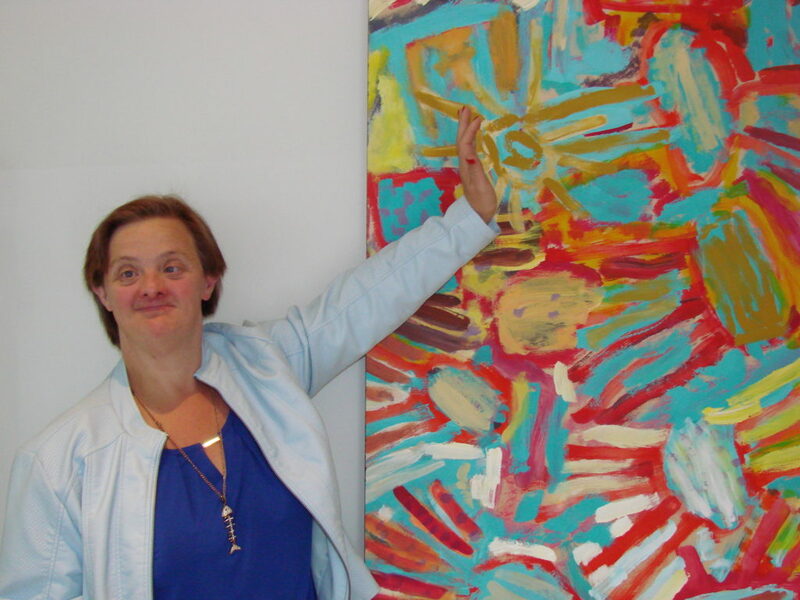 In 2014 her artwork was featured as the cover image for the exhibit “Summer Republic.” Mariola loves swimming, dancing, music, and meeting new people. She’s a tidy person and is always organizing and cleaning. Only able to converse in Polish, art is her passion because it is about expressing herself. At The Nina, she is always smiling and feeling good.